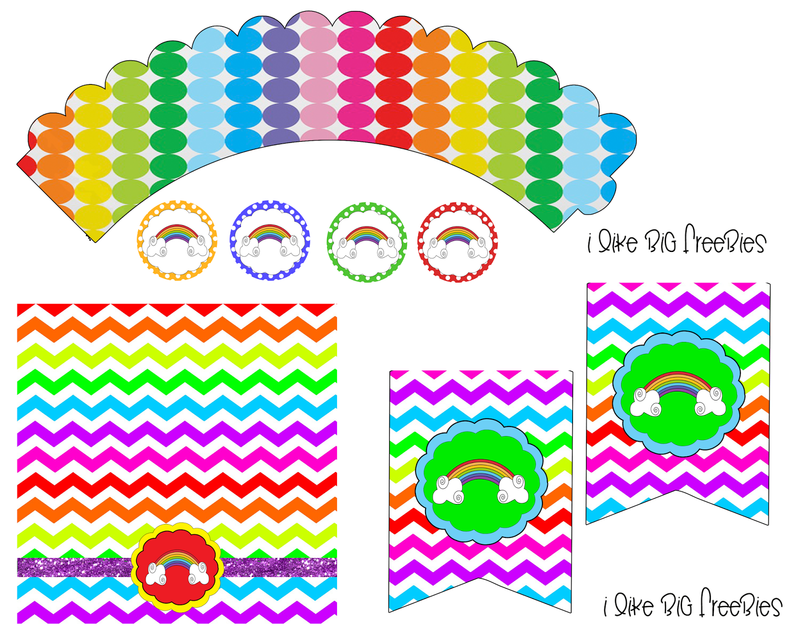 Stacy of I like big freebies made this RAINBOW party printable just for us! For best results: Print on 8X11 cardstock or photo paper. Included above: cupcake wrapper, cupcake toppers, bag toppers and banner printables. Print out as many as needed!